In a world with antifungals and other aquarium pharmaceuticals, salt seems a downright medieval aquarium remedy. However, sea salt -- or rock salt, or kosher salt -- will often cure various fish fungi without having to resort to expensive aquarium pharmaceuticals. Aquarium fungus is a parasite, usually from the genus Saprolegnia. It is a true fungus, unlike "mouth fungus," a bacterial disease of aquarium fish sometimes mistaken for a fungus because of its fuzzy colonies. True fungus manifests as fuzzy patches on the body of the fish. The colonies typically appear white or gray, but sometimes they can appear in other colors like reds and pinks. Unlike mouth fungus, true fungus always appears on the body or fins of the fish. Under most circumstances, you will want to dose 1 tablespoon of sea salt per gallon of aquarium water. At this dosage the salt will usually kill fungus, and may act as a general tonic for the fish. However, some species of fish, like cory catfish, can not tolerate salt in any amount. Others, like cichlids and tetras from soft acidic home waters, need the dosage halved. Research the tolerance of all of the fish in your aquarium. Once you see the fungus start to die back, perform a partial water change. The fungi that attack fish are usually opportunist; they can only infect a fish if it is already injured. Because of this, it might make more sense to treat the fish in a separate quarantine tank, since you do not need to treat the entire tank. Here, you can raise the temperature to 75 to 79 degrees Fahrenheit, which will leave the fungus more vulnerable to salt's effects. Additionally, if you have to resort to medications, you will not have to worry about their side effects in the main tank. Adding salt to the water can have serious consequences for the aquarium. It will flat out kill some aquarium fish. Additionally, salt can wipe out aquarium snails. And salt does not work well in aquariums with live plants, since salt will kill them as well. 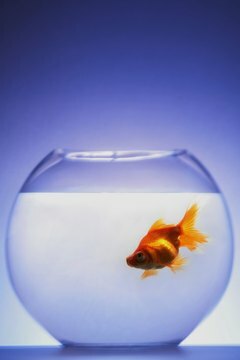 In these situations, a quarantine aquarium is probably the best option for the infected fish.